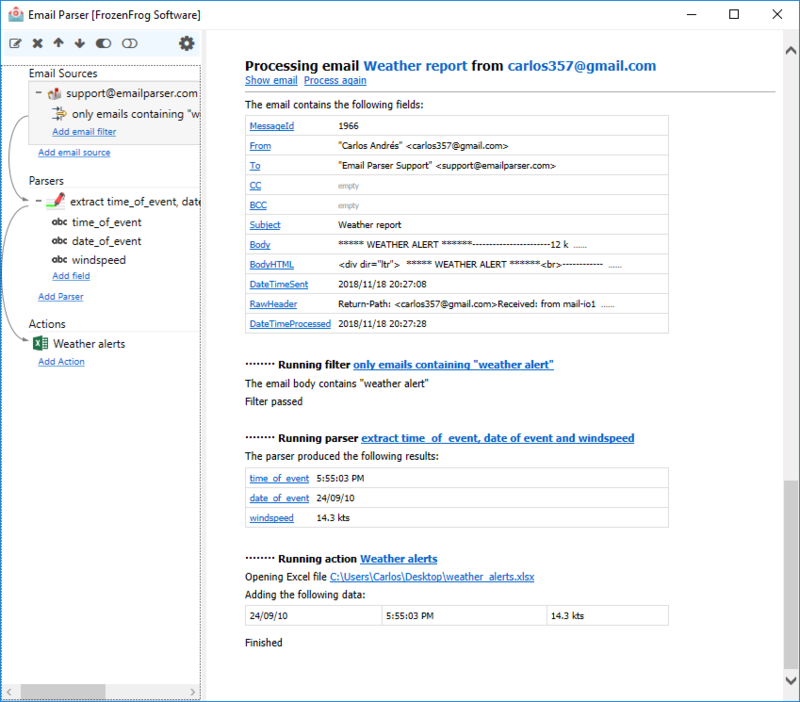 This is a basic example that shows how a Parser works with email filters. 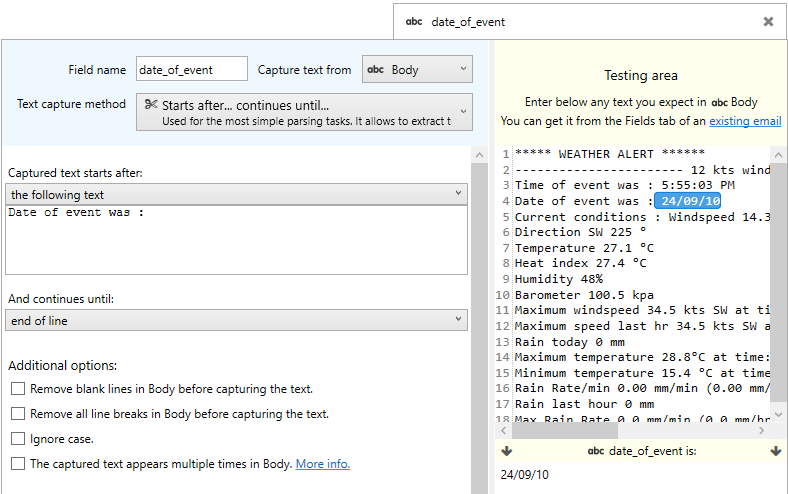 It also shows how Email Parser can insert captured text fields in an Excel spreadsheet. 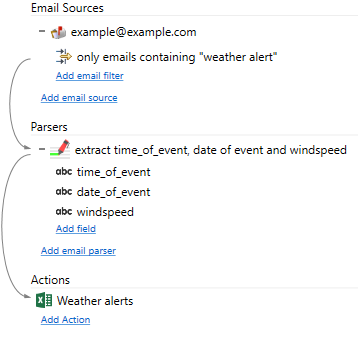 It downloads all the incoming emails but processes only those with the text “weather alert” in the email body. 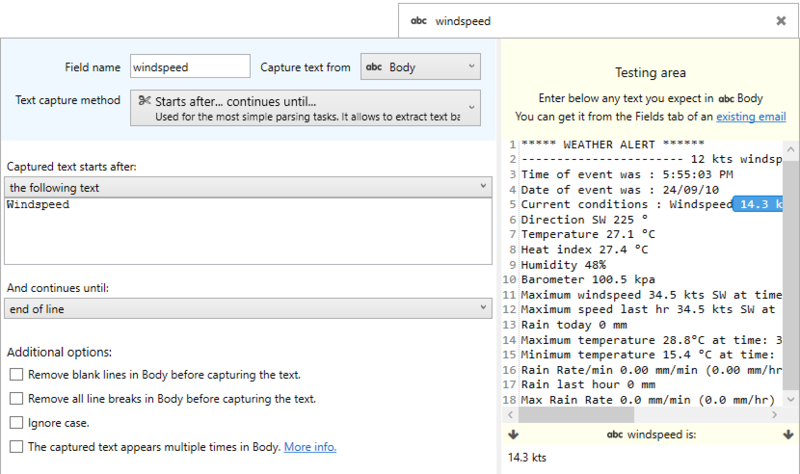 It also extracts the named fields time_of_event, date_of_event and windspeed using the text capture method “starts with… continues until“. 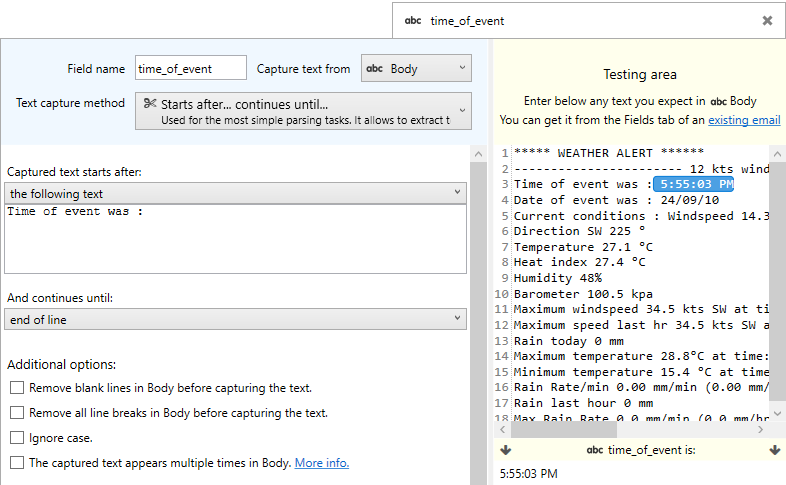 It then writes the values to a new row in an Excel file.